Since 1993, Dr. Taylor has served as Senior Pastor of Community Baptist Church of Englewood. An in-demand speaker, revivalist and facilitator, Pastor Taylor spreads the gospel of Jesus Christ around the world. Pastor Taylor is an anointed and gifted musician. He most recently founded the New Jersey Gospel Delegation Choir that has performed at Carnegie Hall for the past 2 seasons. District Missionary Baptist Association and former President of the Black Clergy Council of Teaneck, Englewood and Vicinity. Streamed live on Apr 20, 2016: Dr. Taylor delivers It's Time For A Change! John 5:1-8 at the Union Baptist Church Spring Revival. 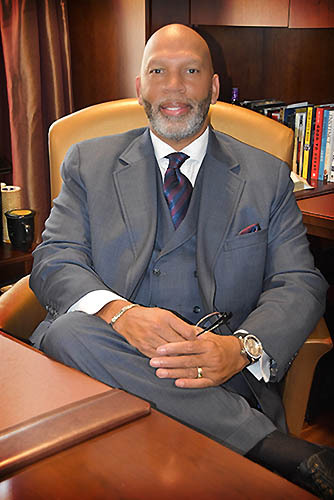 Dr. Taylor is a member of the prestigious Martin Luther King Jr. International College of Ministers and Laity at Morehouse College, and inducted into its Board of Preachers. Dr. Lester W. Taylor, Jr. embodies a preacher for this age and time – delivering a Christ-centered, cross-generational message of hope, healing, and restoration that attracts a diverse, multi-cultural congregation. Committed to the gospel of Jesus Christ, his lifelong spiritual walk has been rooted in the scripture, John 15:16: "Ye have not chosen me, but I have chosen you and ordained you, that ye should go and bring forth fruit, and that your fruit should remain: that whatsoever ye shall ask the Father in my name, he may give it to you." 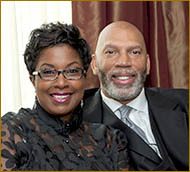 Since 1993, Dr. Taylor has served as Senior Pastor of Community Baptist Church of Englewood. Under his leadership, the church has grown to a thriving, active ministry of over 4,000 members. In January 2011, he led the congregation in the completion of a new worship complex that now serves as a spiritual hub for the surrounding community. I serve on the Security Ministry for the church because of my admiration and respect for Pastor Taylor. He is a man of God first and he keeps it real when speaking to men. My Pastor comes from humble beginnings and he is not afraid to share it, nor is he ashamed of it. As far as he has come, he never looks down on anyone. CBC is the church where every soul is handled with love. I consider myself a life-long learner with several degrees, however, Pastor Taylor has taught me the truth of God which puts all of my learning in perspective. Without God, all that I have learned is meaningless. Pastor Taylor is a great teacher, very inspiring. He has a true love for God and His people. Since I've been coming, I have grown a lot. OMG! Pastor Taylor has changed my life! He explains the Scriptures in today's language so I can understand the Bible. Pastor Taylor's honesty, sincerity and southern roots connect with me! Dr. Taylor was licensed to preach by the St. Phillips Missionary Baptist Church of Bridgeton, NJ in 1977, and was ordained by the Bethany Baptist Association of South Jersey in 1993 upon accepting his call to the pastorate. He is a graduate of the Philadelphia Biblical University (Cairn University, 1985), the New York Theological Seminary (1999) and the Eastern Baptist Theological Seminary (Palmer Theological, 2002). Dr. Taylor is the recipient of numerous awards, resolutions, and honors, including the President's Award presented by the faculty of the New York Theological Seminary. He also received the prestigious Bergen-Walden Award, bestowed by the Black Association of Seminarians of the New Brunswick Theological Seminary in honor of the first two African-Americans to graduate from the institution in 1879. In recognition of his service and scholarship, Dr. Taylor was proclaimed a member of the prestigious Martin Luther King Jr. International College of Ministers and Laity at Morehouse College, and inducted into its Board of Preachers in March, 2017. In 2016, Dr. Taylor was elected President of the General Baptist Convention of New Jersey, Inc., an umbrella organization of over 200 Baptist churches across the state of New Jersey. 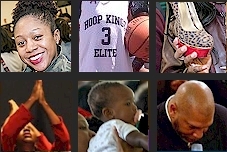 He previously served as Moderator of the North Jersey District Missionary Baptist Association, and President of the Black Clergy Council of Englewood, Teaneck and Vicinity. Educating and developing new and young pastors, as well as those wrestling with a call to ministry are his personal passions. He is affectionately known as the "Pastor's Pastor". Dr. Taylor is an Adjunct Professor at the New Brunswick Theological Seminary and the New York Theological Seminary. He also serves as a certified instructor for the Congress of Christian Education of the National Baptist Convention, USA, Inc. An in-demand speaker, revivalist, and facilitator, Dr. Taylor spreads the gospel of Jesus Christ around the world. He is a skilled and accomplished musician with a passion for excellence in music ministry. He is the founder of the Music Auxiliary of North Jersey District Missionary Baptist Association and the D-Free Mass Choir of Essex and Somerset Counties. Most recently, he founded the New Jersey Delegation Choir that is now featured annually at Carnegie Hall during the holiday season. Dr. Taylor is a devoted husband married to Lady Gayle Green Taylor. He is the caring father of a son and daughter, and a doting grandfather of two grandchildren.